Thanks, BioWare! I needed a bit of a pick-me-up today. The Mass Effect news keeps rolling in and fans starting to see the big picture of what is to come from the sci-fi series. However, BioWare's Mike Laidlaw took the chance to address another concern of his company's fanbase. Jade as a sequel is never dead. I think one of the advantages to getting back to it after a long time is not only nostalgia is a very powerful feeling in people, but skipping a generation of hardware is actually really exciting because it feels like it's not an evolution. It's a revolution of what you can do, and I think that's the kind of thing that brings people. What if we were to revolutionize Jade Empire and brought it back in that regard? That's the kind of talk that still happens around the studio. 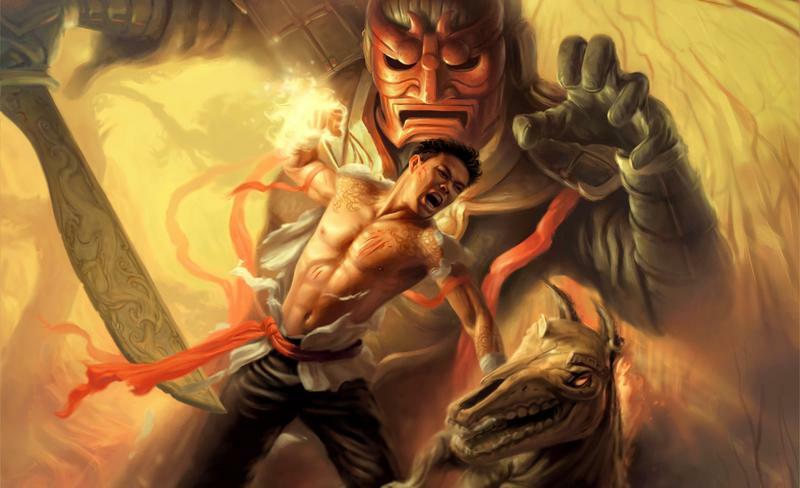 The two further stated that a Jade Empire game had started pre-production, but once they got around to it, the fantasy and sci-fi genres exploded. Mass Effect and Dragon Age were born from that. Oh, Jade Empire. It's one of the tightest RPGs that BioWare's has ever created, and while its size might be smaller than the others, the numerous decisions lead down a much larger number of paths. I would love to see a sequel, but I have a feeling that BioWare wouldn't be able to recapture the spirit. It would be Dragon Age: Inquisition in ancient China, an adequate RPG that sometimes rekindles the brilliance of the studio at its peak. Decision making as the plot's driving force would be scrapped in favor of running between waypoints and grinding away at quests. Worldly decisions would lead to nothing more than a different cutscene. Character relationships could get somewhere in about a fifth of the time without much effort being put into it. In other words, a Jade Empire sequel would be nice, but probably pointless because it would play just like everything else out there now. The setting would be all it has going for it, and while that alone might be enough, I would prefer that BioWare try to recall what made the first game so much fun.